Sweating up a storm? It’s hard to keep a cool demeanour when you look like you’ve just run a marathon every time you step outside (thanks, sun), but luckily, we’ve found the best way to chill out. 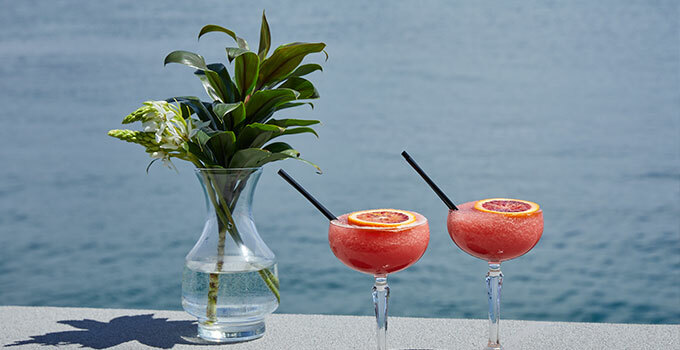 For a refreshment that embraces the spirit of summer, give the Frozen Blood Orange Margarita a shot, created by Catalina from the beautiful Rose Bay. Combine all ingredients in a blender, add ice with a small amount of water. Blend till smooth. Serve up in a coupette or margarita glass and garnish with a wheel of fresh blood orange.